Mule deer typically present longer shots than Eastern whitetails, but they don’t require special rifles or cartridges so much as plenty of practice to be proficient and confident when shooting at longer range. Laser range finders have eliminated the need for “guesstimating” range when calculating bullet drop, and when the wind isn’t whistling down the Plains, a practiced rifle shot should be able to center a round in a big muley’s chest at 300 or even 400 yards. What once required years of shooting to develop a sense of distance now only requires the hunter have the proficiency to place bullets under field conditions. Of course, there are limits. Yes, rounds like the .30-06 retain sufficient punch at 500 or even 600 yards to kill a big mule deer, but the large allowance for bullet drop and the impossibility of knowing what the wind is doing all across such a long range means such shots are better left to competitive marksmen punching paper targets. Holding high and hoping for a lucky hit just isn’t good enough when shooting at live game. Wind remains the bane of Western shooting. A pocket meter may teach you how to estimate wind against your face, but what is the wind doing at 100 yards, 200, 300, or at the target? A 10 mph crosswind can easily cause a miss at 400 yards. Most Easterners, and I’m one, have insufficient experience with the winds of the West, and nobody should try a long shot across a valley on a windy day. Practice long shots on really windy days, consider every blade of grass a wind flag, and you will only become more conservative about taking such shots. Hunters who don’t put in the time should limit themselves to 200 yards or so. At that range, most deer cartridges are within point-blank range; zero the scope properly, and the bullet should not hit more than a couple inches high at 100 yards or a couple inches low at 200 yards. Neither will a stiff breeze move the bullet more than a couple inches off line at 200 yards. Just center on the vitals and shoot. But with a little thought and considerable practice, 300 yard shots may be an option with a deer rifle already in your rack. Likely you’ll want to sight in to hit dead-on at 200 yards, and so long as you shoot reasonably aerodynamic bullets, drop at 300 should be 8 inches or less. Find a 300-yard range, set up a tall target, and take a few careful shots off of sandbags. Then shoot prone with a bipod. Work on breath control, a steady hold and trigger pull, and you’ll likely be pleasantly surprised. Out to 300 yards, you can likely aim for the spine of a mule deer and let the bullet drop in just below the center of the chest. Even if you overestimate the range a bit, you still get a lethal hit and don’t send the bullet over the top of the deer. Impact energy need not be a big consideration when picking a cartridge for mule deer. Some suggest 750 foot-pounds of impact as sufficient for deer, and stepping that up to 1,000 foot pounds should be acceptable for the biggest mule deer. The .243 is considered at the bottom of acceptable size for mule deer, yet Federal’s .243 factory load, with a Sierra 100-grain pointed bullet, retains more than 1,200 foot-pounds at 300 yards. If you feel the .243 doesn’t deliver a heavy enough bullet, step up a notch to .25-06 and find 1,500 foot-pounds at 300 yards. This cartridge combines flat trajectory with mild recoil, making it a top choice for long-range deer. 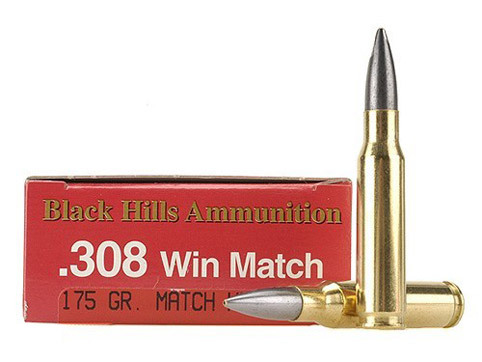 The .270 Winchester has been around since 1925, yet it remains one of the most versatile big-game cartridges. Jack O’Connor lived by the .270, and his favorite hunt was sheep in the mountains, which rarely present close shots. At 300 yards, the .270 has more energy than a .30-30 at 50 yards. A .270, zeroed at 200 yards, drops but 6 or 7 inches at 300 yards. Even the .308 hits harder at 300 yards than does a .30-30 at 50 yards, and zeroed at 200 yards, it drops but 8 inches at 300. Yes, the .308 is fine for mule deer. Of course, it’s sometimes difficult to remain cool, calm and collected with a trophy buck in your sights, and that must also be considered. One nice feature of high magnification scopes is that they show just how much the barrel is wobbling. If the crosshairs stay on target, fine, take the shot. If not, take a deep breath and look for a better shooting rest. But the real key is to practice that long shot often, under varied conditions. Shoot varmints out to 400 yards. Shoot rocks on a hillside. Develop a feel for making decisions about long shots. Know your range finder well. Study the effects of shooting uphill and down. Know how to quickly and smoothly settle into a very steady position. Harris pivoting bipods are excellent, and it helps to put something under the buttstock of the rifle for added rear support. In a pinch, I just position my fist as a sandbag under the buttstock. Newer ballistic-style scopes feature additional crosshairs that may be used for specific ranges. With practice, it may be very helpful. Some scopes offer the option of turning the elevation knob the correct amount and then taking aim dead center. But I don’t care to do that. If the animal runs a bit after a hit, and I want to hit it again, I have no reference as to where to aim without making another adjustment. Higher magnification riflescopes have become quite rugged in recent years. Leupold 4.5-14X variables enjoy a stellar reputation. Bushnell’s latest scope magnifies from 2.5X to 16X, providing a wide field of view at the lowest setting. On the highest setting, you should be able to see the flies buzzing a muley at 300 yards. I like magnification, and a Leupold 6.5-20X sits atop my long-range Savage .25-06. Folks with excellent eyesight may prefer a variable scope with a lower power range for the greater field of view. Even in the wide open West, shots also come in brush at close range. I’m very fussy, not only with the benchrest groups my rifles shoot but also how well they keep exactly the same zero through a season of weather changes and the unavoidable bumps they receive during a day in the woods. Is the rifle still at its zero after a few months in storage? If not, when and how did it change? Could it have been the bump it received on opening day? I have a bench rest and shooting range at my home, where I often check rifles mid-season then tweak the scopes a click or two. While many big-game cartridges are clearly acceptable for mule deer, which cartridge is best? The .270 Winchester is tough to beat, and, relatively speaking, it’s easy on the shoulder. In fact, legions of experienced Western hunters maintain that the .270 is acceptable for elk, too. That being the case, then an argument might be made for the slightly smaller .25-06, with sufficient punch for mule deer and even less recoil. A case can also be made that the .257 Weatherby Magnum has the most potential for truly long-range deer. For a truly long shot at a mule deer or an elk, consider the .270 Winchester Short Magnum. The 130-grain .270 bullet is big enough, and the case gives abundant velocity for long-range performance. Note that the “two-seven-zero” cartridge actually uses a .277 diameter bullet, only seven thousandth smaller than the 7mm’s .284 bullet. But, yes, various 7mm cartridges do pack slightly more punch with slightly heavier bullets, good to know if an elk tag is also in your pocket. Much has been said about the .300 Weatherby Magnum being the ultimate cartridge for big game at long range. And, the .30 magnums do hold an advantage in less wind deflection, which is great, but only if you can handle the punishing recoil of the high-speed loads. Regardless of the rifle and load, practice until you are sure of your capabilities, and then deduct a bit of distance to account for a little excitement, maybe some fatigue or cold fingers. It’s better to be somewhat conservative. Luck always plays a part in hunting, but it has no place when it comes to lining up a shot on a live animal. Between the kill zone and a clean miss, there is a wound zone around the edges, and that’s a place we don’t ever want to go.